List of the top banks in the world. One way to save money is to maintain it from the bank, it’s safe there and we could have access to it whenever we want. However although there are hundreds and hundreds of banks around the globe, each one has a distinct system and policies. Some have more capital and resources that make it richer than others. Below is a list of the best bank in the world the largest and richest. 1. Industrial and Commercial Bank of China (ICBC): cataloged as the best bank in the world, controls almost 1/5 of the country’s banking operations, assets, $ 3.473 billion and capitalization, $ 238 billion. 2. China Construction Bank Corporation: is one of the largest banks in the world founded in 1954. Assets: $ 3 016 billion and capitalization, 200 billion. 3. Agricultural Bank of China: founded in 1951 by Mao Zedong, has about 24 thousand representatives abroad and the country. Assets: $ 2 815 billion and capitalization, $ 190 billion. 4. Mitsubishi Financial Group UFJ: one of the best banks in Japan. Assets: $ 2,626 billion. 5. 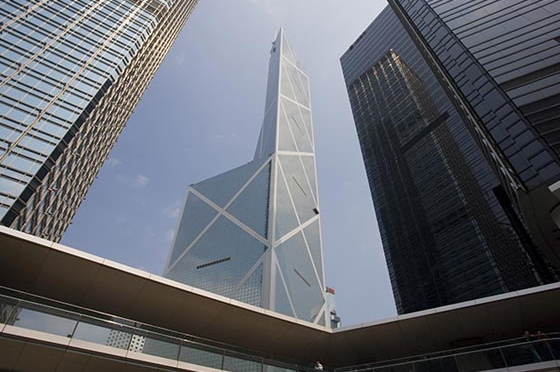 Bank of China ltd: it is one of the oldest, founded in 1912. Assets: $ 2 611 billion and capitalization, $ 162 billion. 6. JPMorgan Chase: American bank founded in 2000 based in New York. Assets: $ 2.5 billion and capitalization, $ 225 billion. 7. HSBC Holdings plc: British bank based in England and one of the largest in Europe. Assets: $ 2 374 billion. 8. BNP Paribas: French bank founded in 1999 with headquarters in Paris, Geneva and London. Assets: $ 2 189 billion and capitalization, $ 73 billion of capitalization. 9. Bank of America (BoA): it is one of the largest American banks in the country. Assets: $ 2 187 billion and capitalization, $ 163 billion. 10. Wells Fargo: one of the largest American banks in the world. Assets: $ 1 930 billion.